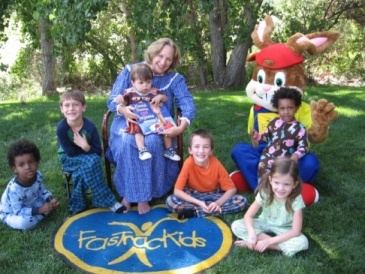 FasTracKids’ CEO and President Nancy Faunce released a Public Service Announcement on becoming an official Reading Partner in Jumpstart’s Read for the Record campaign. On October 6th 2011, more than 2 million children will call for an end to the early education achievement gap by reading Llama Llama Red Pajama by Anna Dewdney and setting a world record in the process! Make a pledge to read in your community. You’ll be standing up for children everywhere! Check out the video and don’t forget to make a pledge to read!